On Thursday, Feb. 21, at 3:00 p.m. the Library will host a Scholarship@Villanova event featuring Ronald Hill, PhD, Richard J. and Barbara Naclerio Chair and professor of marketing and business law in the Villanova School of Business. Dr. Hill’s lecture, “A Manifesto on Marketing as Exchange,” will address contemporary trends in the discipline and practice of marketing and also their relationship to human value. Dr. Hill’s research, which will be presented Thursday as part of his lecture, led to his selection for last year’s prestigious Outstanding Faculty Research Award. 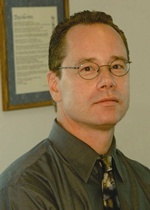 His approach begins with several criticisms of marketing as a discipline, including its recent theoretical tendency to “disregard of the vast majority of consumers in favor of a narrow, affluent socioeconomic subset.” Over the years Dr. Hill has developed a broad and eclectic body of research, and his work on the intersection between marketing and society can be found in illustrious publications like Harvard Business Review and Human Rights Quarterly. Scholarship@Villanova events are dedicated to recognition of bold scholarly publications, exciting ongoing research, and other intellectual contributions of faculty members from all four of Villanova University’s colleges. Dr. Hill’s talk represents the second spring–semester lecture in this series. In the tradition of past Scholarship@Villanova lectures, this event is free and open to the public, and will be held at the Speakers’ Corner on the first floor of the Library.